Here at Babyology we love the little details. And when it comes to styling your nursery we know more than anyone that there are some items that are hard to find in a less generic style. This is why we are so happy to share these beautiful change pad covers with you. Aden and Anais also sweat the small stuff and their collection of classic and bamboo change pad covers are a welcome addition to the usual options available. 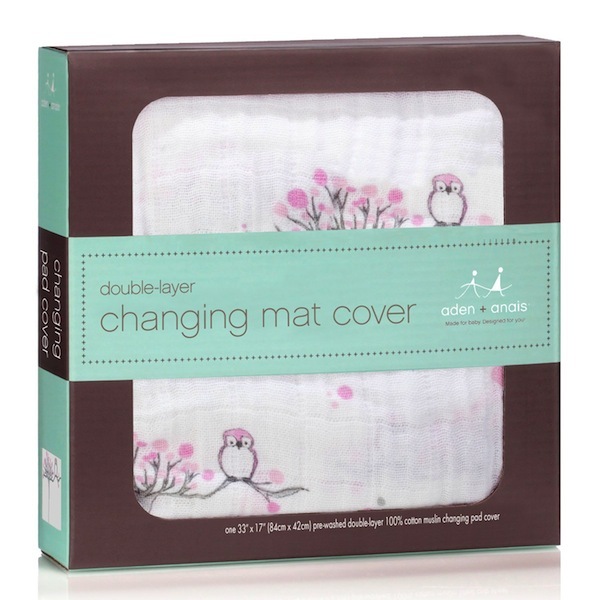 Double layered and tailored to sit tight on a standard change mat, both the cotton muslin and the bamboo muslin covers are made to withstand numerous washes and stay super soft. They cost $29.95 from Urban Baby and shipping is $9.50. Now that we have your change table sorted, take a look at our other Aden and Anais posts to find more ways with muslin.